This week's Physics Central Podcast* features an interview with author and scientist Bill Streever, whose newest book is "Heat: Adventures in Earth's Fiery Places." 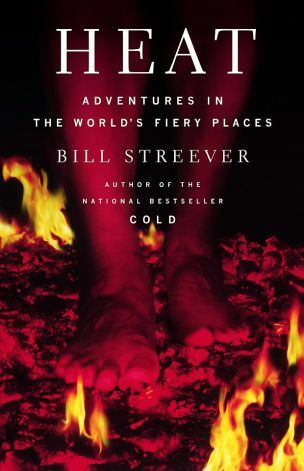 Streever's 2009 book "Cold: Adventures in Earths' Frozen Places" was a New York Times bestseller and a New York Times Notable Book of the Year. "Heat" is a mixture of traditional science writing, history, travel writing and personal narrative. Because Streever is a character in his own books, he says writing provides him with the opportunity to do things he might not normally do. For "Heat," that included walking in Death Valley, visiting a particle collider on Long Island, checking out live volcanoes in Hawaii, fire walking, and intentionally burning the palm of his hand. Streever combines his many adventures and historical insights into a literary cocktail, which may be particularly attractive to people who find pure science a little hard to swallow. *We've changed the name of the podcast from the Physics Buzz Podcast to the Physics Central Podcast. This is really just for clarity: the podcast is listed under PhysicsCentral on iTunes and can be found at physicscentral.com. We think it makes sense.